Techniques in Home Winemaking is the definitive guide to home winemaking! Author Daniel Pambianchi, founder and CEO of Cadenza WInes Inc, has created this book as an all-inclusive guide to all things winemaking. From equipment used in winemaking to the entire process from grape to glass, Pambianchi's magnum opus of winemaking covers everything you need to know to create wines from the raw material, whether that be grapes, juice or concentrate, and prepare them for cellaring. This newly-revised and expanded edition included detailed instructions and diagrams for referencing, as well as a troubleshooting guide and step-by-step instructions on some difficult wine styles, such as sparkiling wine and port. 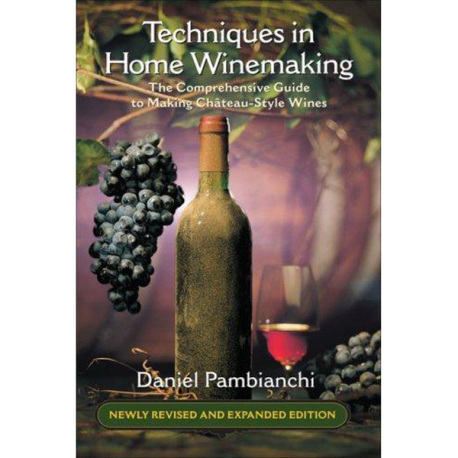 Let Daniel Pambianchi impart his incredible knowledge through this exhaustive guide to home winemaking!